Part of his business is downloading free restore disks from PC manufacturers' websites and bundling them with refurbed PCs, each of which has a valid license to install that version of Windows, along with a valid license key. When a shipment of Lundgren's restore disks was intercepted on its way into the USA from China, he was brought up on trial. Lundgren pleaded guilty, but argued that since the disks' contents could lawfully be downloaded for free, and since the disks wouldn't work without valid license keys, the disks themselves had a value of $0. That's where Microsoft comes in: they strenuously argued that each of these restore disks was worth $25 (down from the government's estimated value of $299 each!). In court, Microsoft lawyer Bonnie MacNaughton called these "counterfeit operating systems" that "displaced Microsoft’s potential sales of genuine operating systems" -- even though Lundgren's PCs had valid Windows licenses and Microsoft made the disks' contents available for free. The judge, feeling he had no choice, found that the restore disks were worth $700K and sentenced Lundgren to 15 months in prison. The 11 Circuit appeals court upheld the sentence. 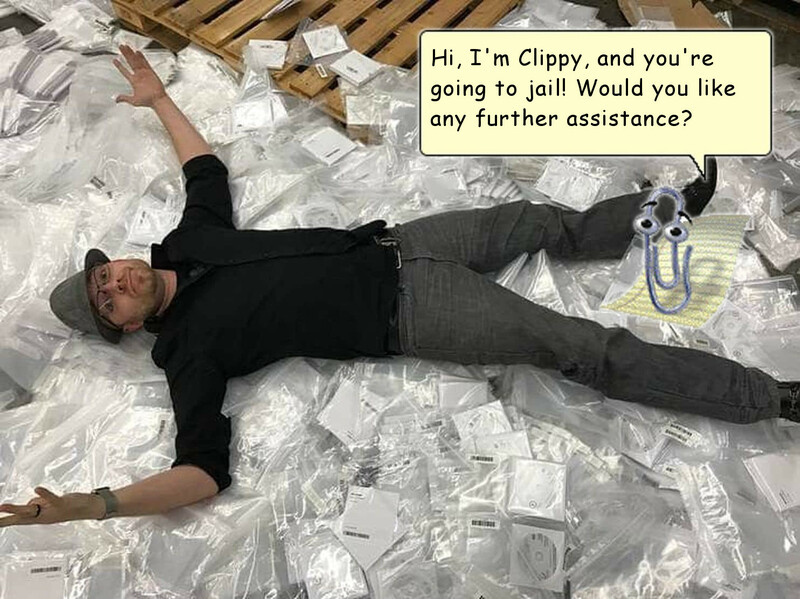 After doing everything in its power to put this amazing, brilliant, principled man in jail, Microsoft issued a statement smearing him and calling him a "counterfeiter." As JWZ puts it: "In case you've forgotten: Microsoft is still a vile garbage fire of a company."